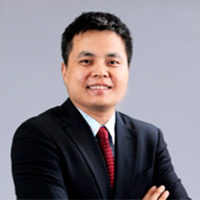 Dr. Xiaodong Lee is the CEO and CTO of CNNIC, and CEO of National Engineering Laboratory of Naming and Addressing Technologies (NATLab). He is the Research Professor of Chinese Academy of Sciences, the board member of Internet Society of China and the former Vice President for Asia-Pacific of ICANN. Dr. Lee is the member of Global Agenda Council on Cybersecurity of World Economic Forum, the member of Multi-Stakeholder Advisory Group of Internet Governance Forum(IGF), the member of IANA Stewardship Function Transition Coordination Group (ICG), the member of ICANN Security and Stability Advisory Committee. Previously honored as one of the “Ten Outstanding Youth” in China’s software industry and “Outstanding Youth Medal of China” in 2009, and the Young Global Leaders of The World Economic Forum in 2014. Dr. Lee is currently Member of All-China Youth Federation.